Ciekawe, czy Eric Boe będzie miał w przyszłości swoją szansę na lot Starlinerem - gdy przeszkody znikną. W końcu przeszedł solidne przeszkolenie. Druga kwestia: kto będzie dowódcą pierwszego załogowego CST-100? Mike czy Chris? Na dzisiaj żaden z 4 astronautów wyznaczonych w 2015 dla lotów statków komercyjnych nie będzie brał udziału w locie Boeing-Crew Flight Test. Jeśli Mike Fincke weźmie udział w pierwszym locie Starlinera to stanie się następnym po Johnie Youngu (1981) astronautą, który będzie wyniesiony w kosmos 3 różnymi statkami kosmicznymi (2 Sojuzem, 1 wahadłowcem i Atlasem V). Do tej listy takich astronautów należą jeszcze Schirra, Conrad i Stafford. Do tej pory myślałem, że misje Skylab i ASTP i Apollo to te same statki czyli Apollo. Główna komisja medyczna zatwierdziła kosmonautę Aleksieja Owczynina na dowódcę załogi Sojuza MS-12 ze względów zdrowotnych. Dubler Aleksandr Skworcow przeszedł taki samą komisję 26.10.2018 przy okazji poprzedniego lotu Sojuza MS-11. Brat Scotta startuje w wyborach do Senatu w miejsce zmarłego Johna McCaina. 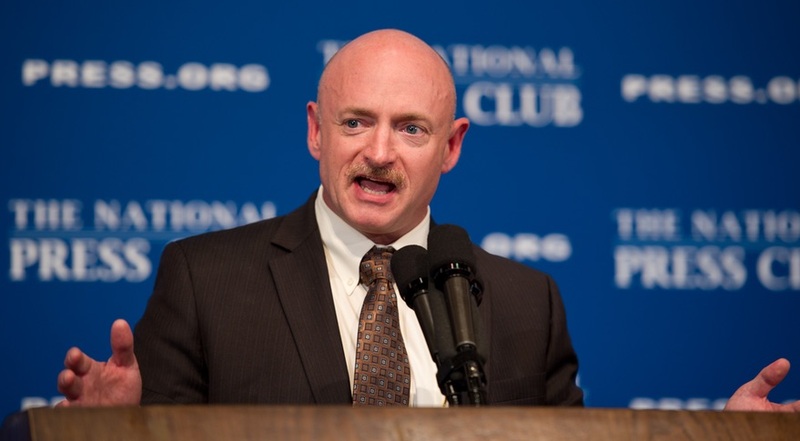 WASHINGTON — Former NASA astronaut Mark Kelly announced Feb. 12 his intent to run for a United States Senate seat in Arizona. Kelly, a Democrat, announced his plans to run for the seat on social media, linking to a four-and-a-half-minute video largely biographical in nature. That included a mention of his career as a NASA astronaut. If elected, Kelly would join an exclusive group of senators who have also flown in space. John Glenn, the first American in space in 1962, was elected to the Senate from Ohio in 1974. The Democrat served four terms there, and in his final months in office in 1998 flew again in space on the STS-95 shuttle mission. Harrison Schmitt, who walked on the moon on the Apollo 17 mission in 1972, was elected to the Senate as a Republican from New Mexico in 1976, but lost reelection in 1982. Jake Garn was already a Republican senator from Utah when he flew on a shuttle mission in 1985, the first and to date only sitting senator to fly in space. Bill Nelson, who flew on the final shuttle mission before the Challenger accident in 1986 as a member of the House, was elected to the Senate as a Democrat from Florida in 2000 and served three terms. He lost his bid for a fourth term last November. W dniu 18.02.2019 trening w Gwiezdnym rozpoczął astronauta JAXA Akihiko Hoshide, który odbył już 2 loty kosmiczne. Ma się on przygotowywać jako inżynier pokładowy nr 2 do lotu na Sojuzie MS i pracy na rosyjskiej części MSK. (...) Dziewiętnastego lutego rosyjska agencja TASS poinformowała, że Roskosmos zakontraktowała z amerykańską firmą Space Adventures dwa miejsca w Sojuzach dla kosmicznych turystów. Te dwa loty mają się odbyć do końca 2021 roku. Z artykułu źródłowego wynika raczej, że chodzi o lot dwóch turystów w jednym Sojuzie. "two non-professional astronauts onboard one spacecraft" w tekście TASS-a. czy też będzie jakaś większa kombinacja (typu roczny lot) z rotacją załogantów rosyjskiego segmentu Stacji? 18.03.2019 załoga pierwszego lotu operacyjnego SpaceX Crew Dragon USCV-1 rozpoczęła 5 tygodniowy trening na rosyjskim segmencie MSK w Gwiezdnym. Astronauci NASA Victor Glover, Jr. i Michael Hopkins oraz dubler Kjell Lindgren. After a 30-year career with NASA, Astronaut Kay Hire retired from the agency on Feb. 28. Hire joined the NASA team in 1989 where she worked as a space shuttle orbiter mechanical systems engineer, test project engineer, and supervisor of space shuttle orbiter mechanical systems and launch pad access swing arms at Kennedy Space Center. Hire processed space shuttles from landing through ground preparations and launch countdowns for more than 40 missions. “Kay has had an extensive career both at NASA and in the military. We are thankful for her 30-year career with NASA and the contributions that she has made to the space program,” said Chief Astronaut Pat Forrester. Hire reported to the Johnson Space Center in 1995 as a member of Astronaut Group 15, becoming the first astronaut selected from the Kennedy Space Center workforce. 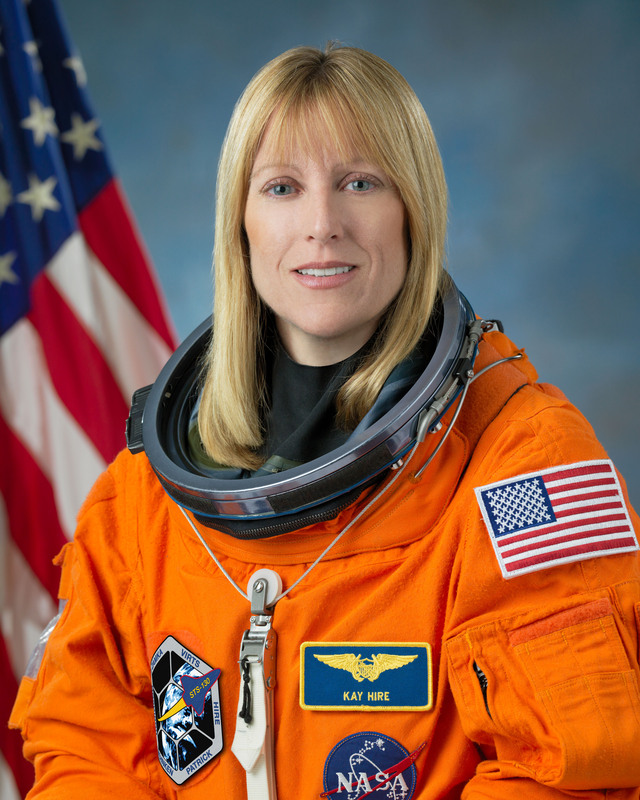 She flew to space for the first time as a mission specialist aboard Space Shuttle Columbia for the 16-day Spacelab Neurolab mission, STS-90, in 1998. The seven-member crew played both the role of experiment subjects and operators for 26 life science experiments focused on the effects of microgravity on the brain and central nervous system. Hire flew to space on a second mission aboard Space Shuttle Endeavour for STS-130 in 2010 to help assemble the International Space Station. Hire and her crewmates delivered and outfitted Node 3, also known as the Tranquility module, and the Cupola, a seven-windowed portal for the space station which has been a focal point of the station since installation. As a mission specialist, Hire operated the robotic arms, led the transfer of 4,500 pounds of cargo, and helped install water recycling, air cleaning and cooling, and crew exercise equipment in Node 3 and cupola. Between her space flights, Hire supported missions in various roles including Capsule Communicator (CAPCOM) in mission control, Astronaut Support Personnel where she strapped crew members into the space shuttle orbiter for launch, and management astronaut in which she helped develop procedures for commercial spacecraft carrying cargo to the International Space Station. Hire also spent time at NASA Wallops Flight Facility and NASA Goddard Space Flight Center where she was chief liaison to the Department of Defense. Originally from Mobile, Alabama, Hire graduated from the U. S. Naval Academy, and was designated a Naval Flight Officer. She conducted worldwide airborne oceanographic research missions, flying to 25 countries. In 1993, Hire became the first woman in the U. S. military to be assigned to a combat air crew, when she reported to Patrol Squadron Sixty-Two (VP-62) to fly the P-3 maritime patrol aircraft. Hire served in multiple leadership roles throughout her Navy career, spanning operational missions as well as research and development of new technologies. She served in the Navy a total of 35 years and achieved the rank of Navy Captain. Hire logged more than 3,400 flight hours in various aircraft, and more than 711 hours in space. 01.04.2019 załoga pierwszego lotu Starlinera rozpoczęła 5 tygodniowy trening na rosyjskim segmencie MSK w Gwiezdnym. Astronauci NASA Edward Fincke i Nicole Mann oraz dubler Barry Wilmore. NASA i Roskosmos zatwierdzili opóźnienie startu Sojuza MS-13 z 06 na 20 lipca 2019. Na pokładzie Sojuza MS-15 mają wystartować Skripoczka, Meir i Al Mansoori. Strona wygenerowana w 0.637 sekund z 26 zapytaniami.